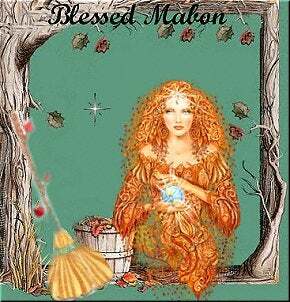 It is the Autumnal Equinox today, also known as Mabon in many pagan circles. Today, the night will be the same length as the day, and we focus on balance - the balance of light and dark, and the duality of knowing that as we harvest and accept and give thanks for the fruit that is grown and gives us life, we mourn the dying of the plant that gave it. We remember fondly the warm summer behind us; we look ahead to the cold winter that is coming. It is also a time to think about ourselves personally - what have we sown this year, and how has it come to harvest? How will you use that harvest to carry you through the hard times ahead, and what will you plant differently next season? What say you, GT? I will ponder my own answers in the comments.